To a certain extent the definition of luxury in Patagonia is very personal to the individual. From sipping Malbec whilst soaking in a wood-burning hot tub on the banks of a river to waking up to snow capped mountains bathed in a pink morning glow whilst under a crisp white duvet, there are a variety of experiences on offer. What is luxury in Patagonia? Luxury accommodation: Choose to stay in luxury lodges or hotels throughout your stay or splash out for a few days at the beginning or end. Patagonia has a range of luxury lodges and hotels set in extraordinary settings, allowing you to enjoy the staggering beauty of Patagonia without compromising on comfort. Gastronomy: If luxury to you means exquisite food and premium wines, Patagonia’s luxury accommodation does it well. Perhaps, it means a table and chair picnic with a mind blowing backdrop, on the banks of a river or on a vineyard - all are possibilities. Customised & flexible verse pre-defined/scheduled: With a Swoop specialist, create an itinerary that is designed especially for you taking into considerations all of your ideas, wishes, likes (and arguably more importantly, dislikes). Private excursion versus group trips: Whether it is a transfer or an excursion, choose to do it privately with a guide rather than joining a small group. This will give you total flexibility with what you see and what you dedicate your time to. Fly versus overland travel: Patagonia is big and some of the roads conditions leave quite a lot to be desired. Chile and Argentina have a network of domestic airports that can take you straight to the action rather than spending a day (or night) travelling overland. 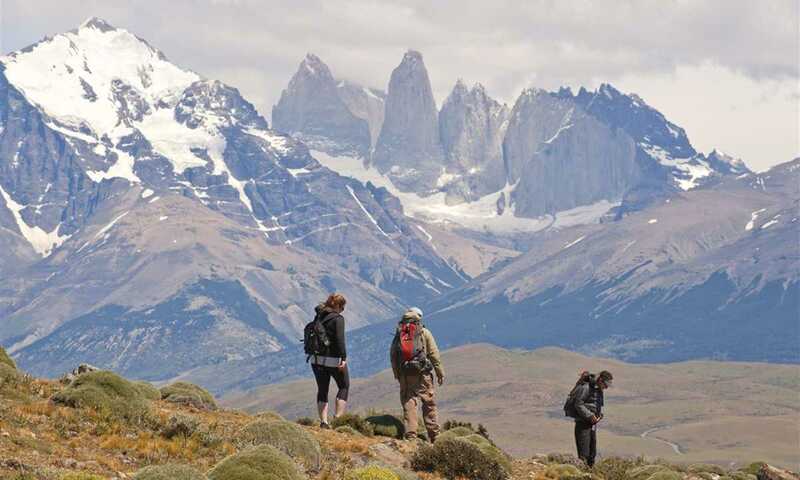 Swoop can combine the very best of Patagonia's high-end accommodation into a seamless itinerary with all transport, excursions and air travel taken care of. Combine the glistening lakes and smouldering volcanoes of the lake district with the fast flowing turquoise rapids of Aysen, the jagged granite peaks of Torres del Paine with the crashing glaciers of the fjords, all from a luxury base with great food and fine wine. We can tailor any trip to you so just let us know what is most important to you and our team of specialists will get crafting. If you'd prefer to travel with a group but don't want to compromise on the level of accommodation that you stay in then we offer a range of “comfy” group tours. The accommodation could be categorised as upper mid-range with moderate activities throughout. The tours include a two week top to tail of Chile, a two week highlights trip of Argentina and a two week highlights trip of Patagonia. Although not staying in utter luxury, these tours pay close attention to the accommodation to ensure you have a lovely room in a quiet location, great service and where possible, some additional facilities. Dotted across Patagonia are some extraordinary lodges set in totally unique locations, from cosy lakeside settings to national park wilderness. Receive a warm welcome with charming service, exquisite food, and quaint Patagonian authentic decor, with added touches like spa facilities, wood-burning hot tubs and even treehouse cabins. Whether you treat yourself for a few nights as part of a longer itinerary or seek out the very best in each location, they are individual and full of character in simply breath-taking locations. Experiences in themselves, Patagonia's collection of high-end hotels provide unforgettable moments before you even consider the excursions and adventures to be had from these prime locations. Take a yoga class with expansive views of the Paine Massif, explore hundreds of acres of secluded private land, tour your hotel's very own artisanal cheese factory, and dine on lamb from nearby ranches as you look out onto a glistening blue waterfall. You'll be coaxed to balance total relaxation and recuperation with amazing Patagonian adventures in the likes of Torres del Paine, Chiloé, and the Chilean Lake District. Luxury doesn't just mean sticking to the main tourist routes, it is still possible to access some truly hidden parts of Patagonia but not scrimp on comfort. Although the roads tend to be a little less forgiving and distances take longer to cover, off the main tourist trails you'll find some real undiscovered gems of Patagonia - remote fly fishing lodges, secluded estancias and private homes can all be combined to create an off-the-beaten-track luxury tailor-made adventure. There are a number of cruises from which you can experience Patagonia but only two that could be considered a luxury experience - the Stella & Ventus Australis. Both ships cruise between Punta Arenas and Ushuaia on three & four night experiences taking in the fjords and glaciers of Southern Patagonia and Cape Horn. Although not a text book luxury cruise experience, they offer a level of service, organisation, gastronomy and comfort that is unrivalled in Patagonia. 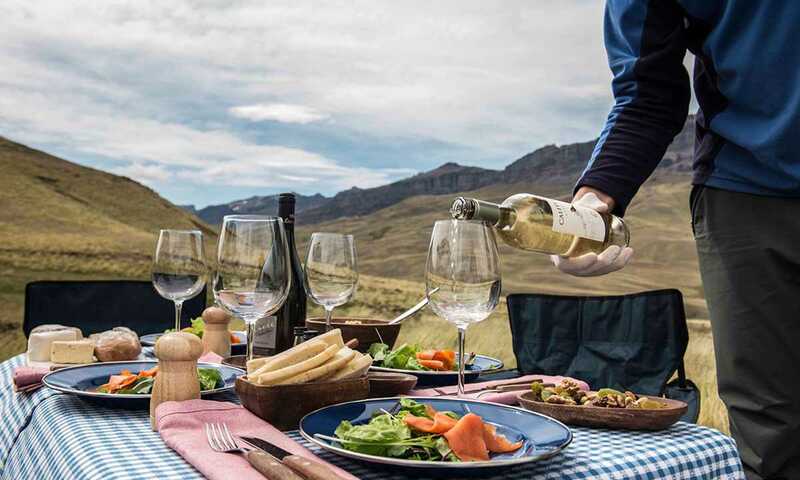 Although not in Patagonia, there are a number of wine lodges close to Mendoza & Salta in Argentina and Santiago in Chile that make a great start or end to any trip to Patagonia. The Colchagua Valley in Chile is home the Clos Apalta Residence (Lapostolle), a Relais & Chateux and the modern, extraordinary Vina Vik. Mendoza and Salta in Argentina combined house more than six luxury vineyard experiences with the Cavas Wine Lodge being recognised as a Relais & Chateux. Patagonian luxury comes in many different forms, so it is really important that you think carefully about what would make an experience luxurious for you. Whatever that may be, we would love to make it happen. Over the years I’ve been lucky enough to experience luxury in many different forms in Patagonia. Nothing quite compares to a day out hiking, the solitude of the settings, returning to exquisite food and warm and welcoming staff.